In its in its fall preview last September, New York magazine wrote about Joya Loves Louie, a vegetarian cafe-market-bar combo expected to open in the former Café Orlin space at 39-41 St. Mark's Place east of Second Avenue. 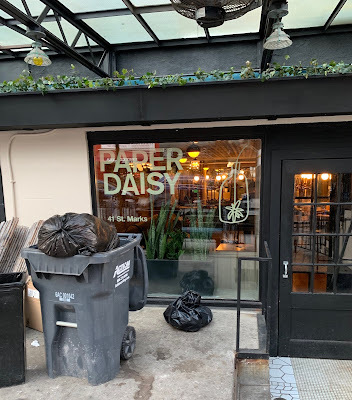 Apparently chef Joya Carlton, whose résumé includes the Orchard Grocer, is not part of the new establishment, which now goes by Paper Daisy. 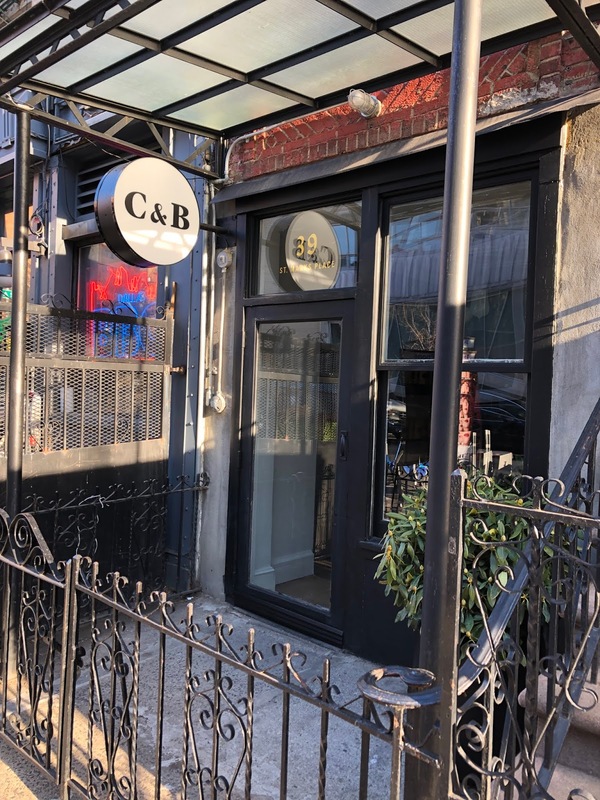 Ali Sahin, chef-owner of C&B Cafe at 178 E. Seventh St. between Avenue A and Avenue B, said that the space at 39 St. Mark's Place will be a new C&B outpost for takeout only... and he is continuing on with the Seventh Street location, which recently turned 4. Meanwhile, the signage is up for Paper Daisy. (Will update when more information about it becomes available.) There's an Eventbrite notice for a launch party at Paper Daisy on March 5 for a "Daisy Jones & The Six" book. 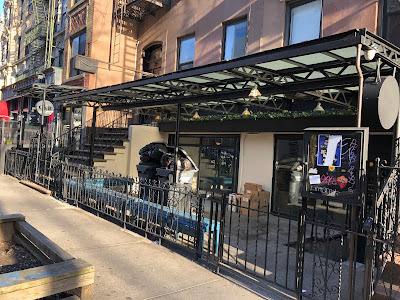 Cafe Orlin closed in October 2017 after 36 years at the address.